With the right apps, your smartphone can get a little merrier and can even help you plan for the holidays. Among the thousands of holiday apps, Santify stands out for its entertainment. It is one of many photo booth apps that take selfie photos and transform them to look more seasonal. Santify does an amazingly good job of turning your selfie into a Santa-like face. It can also create an animated video that can be shared through services like Twitter. When you open Santify, it shows your phone’s camera, overlaid with handy guidelines about where to place your face. When you have snapped a suitable photo, the app tries to guess where your eyes and mouth are. For the best final effects you can move these marked positions on the screen to better match your image. Then, with one click, the app processes your photo to add some Santa smile lines, the costume, glasses and more. 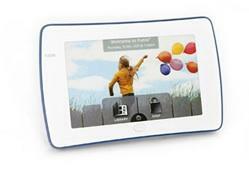 It also creates a looping video that has a gentle 3-D effect. You can adjust features like beard or mustache style. The results are impressive. The free app is on iOS. Its downside is that only a few faces (like Santa and Mrs. Claus) are free. You have to pay $1 for each additional face effect. It’s oh so easy to put an electronic device in front of children to distract them. But Dan Siegel, founding codirector of the Mindful Awareness Research Center, advocates caution. Don’t allow devices to stunt important development. The Hour of Code campaign is gaining traction in schools as millions of students learn the building blocks of coding. In its second year, the Hour of Code initiative seeks to unveil the mystery that surrounds coding and show students that anyone can learn the basics of coding, said Hadi Partovi, co-founder of Code.org. Last year, 15 million students spent an hour learning how to code during Computer Science Education Week with online tutorials, games and offline activities. This year, they’re shooting for 20 million to 30 million, and they’ve already seen about 1 million every hour. Even U.S. President Barack Obama got into the action as he wrote code alongside students near the White House on Monday, Dec. 8. And several other heads of state in the United Kingdom and Ireland also participated in Hour of Code. Facebook isn’t a suitable environment for children under the age of 13, but neither is it appropriate to try to completely shield minors from the rough-and-tumble online world, Mark Zuckerberg told participants at a public question-and-answer session. “I would want my children to use technology because I think it’s one of the ways that you become literate and learn the skills that you need to for the modern world,” he said. One woman asked Zuckerberg, “If you and I were married, how would we handle Facebook with our daughter?” He responded that it would depend on whether the daughter is 13 yet — that’s Facebook’s required minimum age to become a user. “I would not allow my child under the age of 13 to use Facebook,” he said. After she was old enough, they would sit down and have a talk about bullying and other things to watch out for on social media, he said. 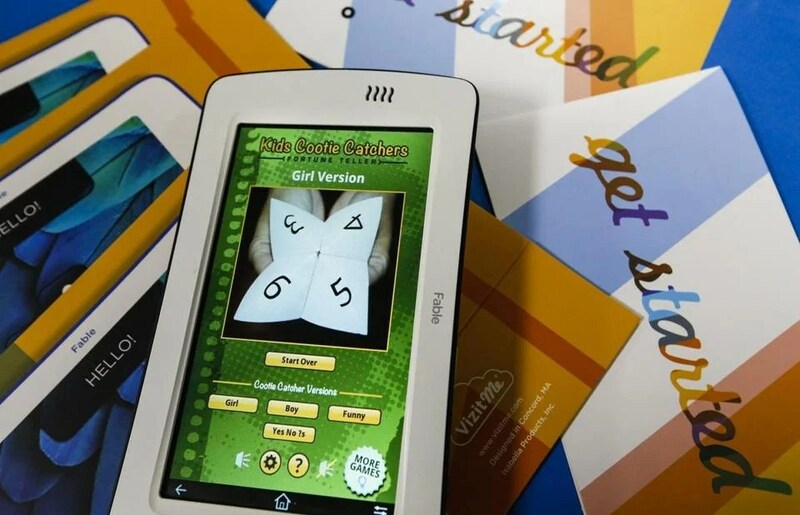 Earlier this week, publishers, app developers, and a few teachers gathered at the Boston Public Library for the prelaunch of Fable, a 7-inch Android tablet developed over the past 18 months by mobile device startup Isabella Products in Concord, Mass. The first “child-friendly, juice-proof” tablet aimed at ages three through 10, Fable will be officially introduced in March and will be produced in Massachusetts. The activity, organized by the team behind the Kennedy-Longfellow/Lesley University Partnership, is a part of the Hour of Code, a week-long national grassroots campaign organized by Code.org that encourages teachers and students to participate in coding lessons.